Campbell is responsible for developing diversity and equity programs for the schools of medicine and pharmacy ensuring a quality and inclusive educational experience for all students, faculty and staff. 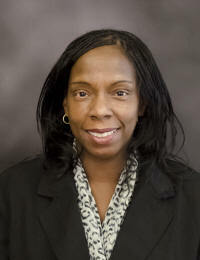 A veteran of higher education administration, Campbell has served in human resources and admissions positions at both West Virginia State University and Marshall University for the past 18 years. Campbell worked for Marshall at its South Charleston campus for more than a decade as the Graduate Records and Admissions Supervisor. She most recently was the Civil Rights and Equity Compliance Administrator at West Virginia State University’s Gus R. Douglass Institute, a position she had held since 2008.